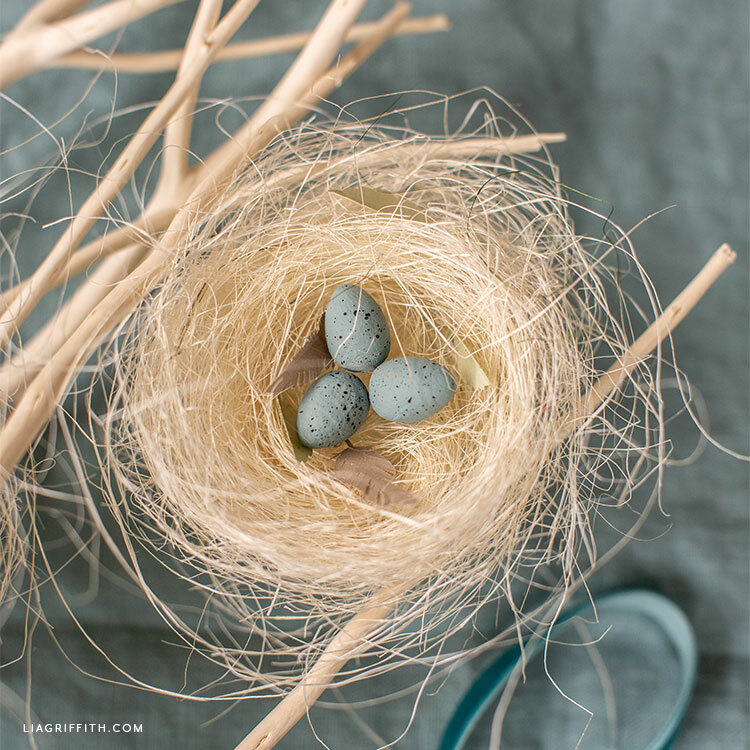 If you’re looking for fun and easy Easter crafts, you’ve come to the right place! 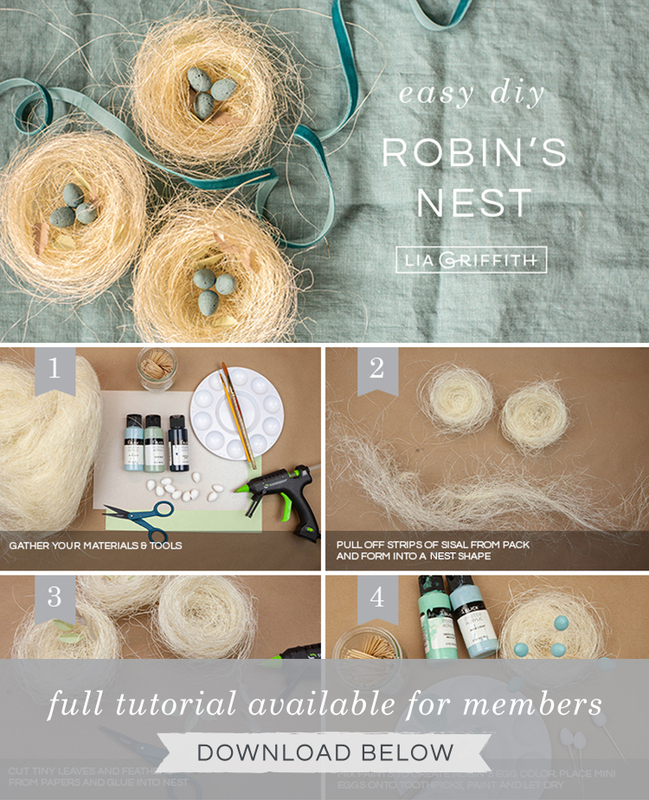 Today I’m showing you how to make a robin’s nest with eggs using natural sisal and spun cotton eggs. This is a very simple craft and can be made in just 30 minutes. It’s also a great craft for kids to make. Another easy idea is to upcycle a paper grocery bag to create a shredded paper nest. Because sustainability is important to us, we have been focused on using more eco-friendly materials for our crafts. 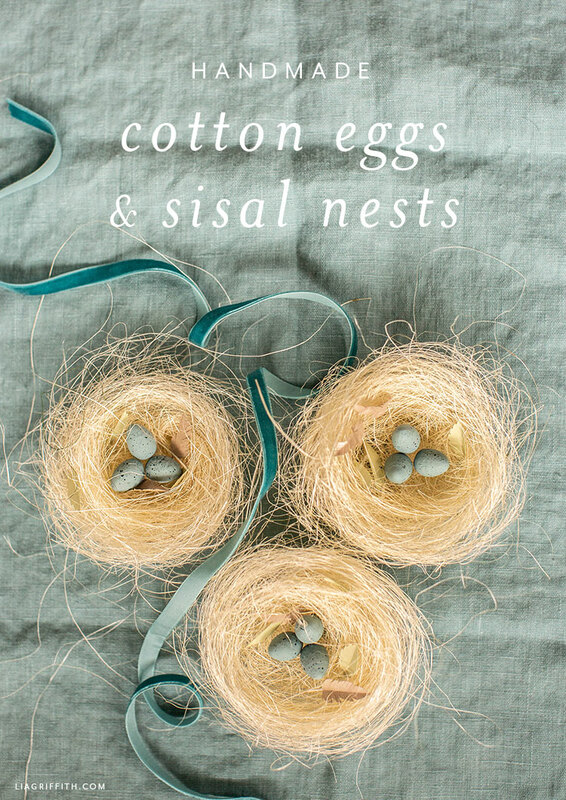 Thanks to Smile Mercantile, we have been trying out some new things, like spun cotton eggs and natural sisal. 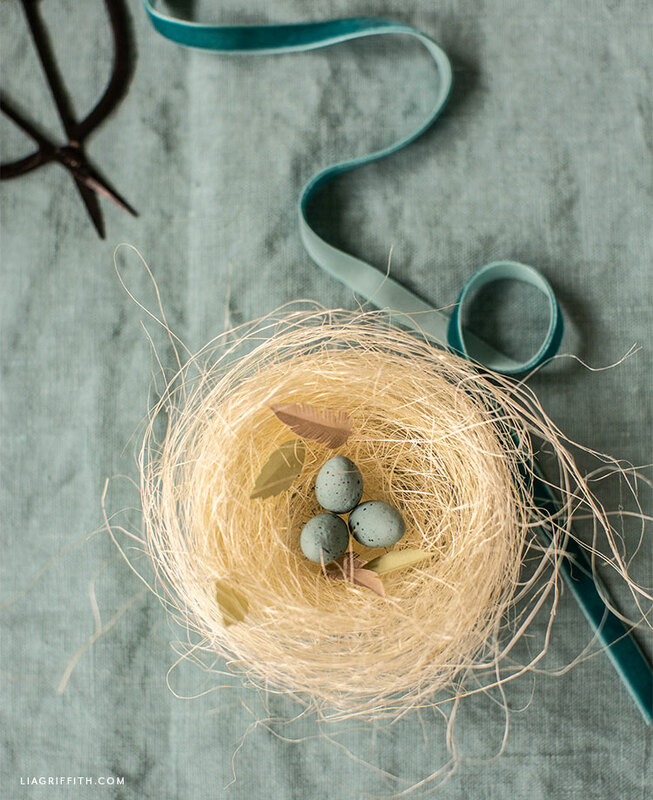 We have used spun cotton eggs in a few different Easter crafts already, including our painted animal Easter eggs, our carrot and strawberry Easter eggs, and our Easter wreath. However, this is the first time we’ve used natural sisal for a craft project! 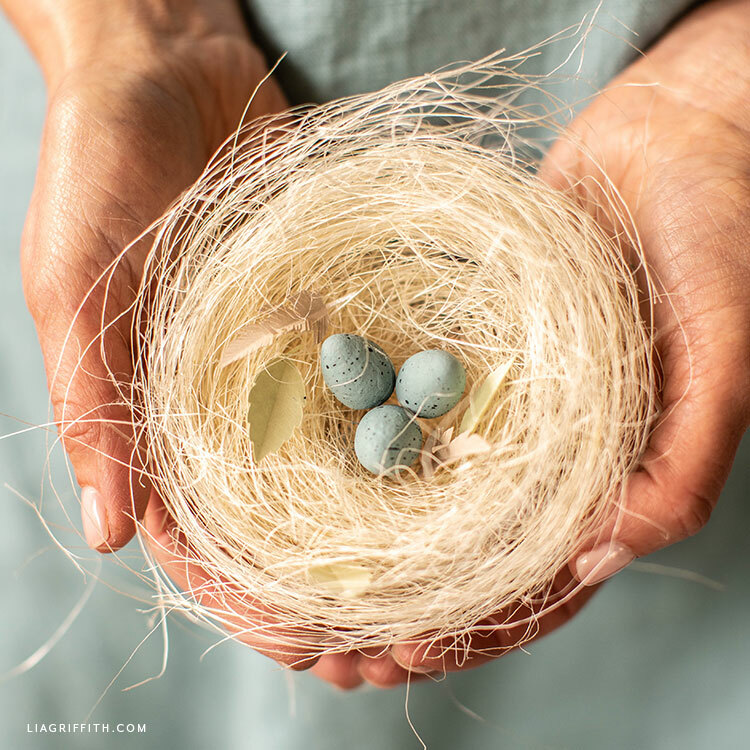 I love how soft and natural it looks—and the wispiness of it is perfect for a robin’s nest. 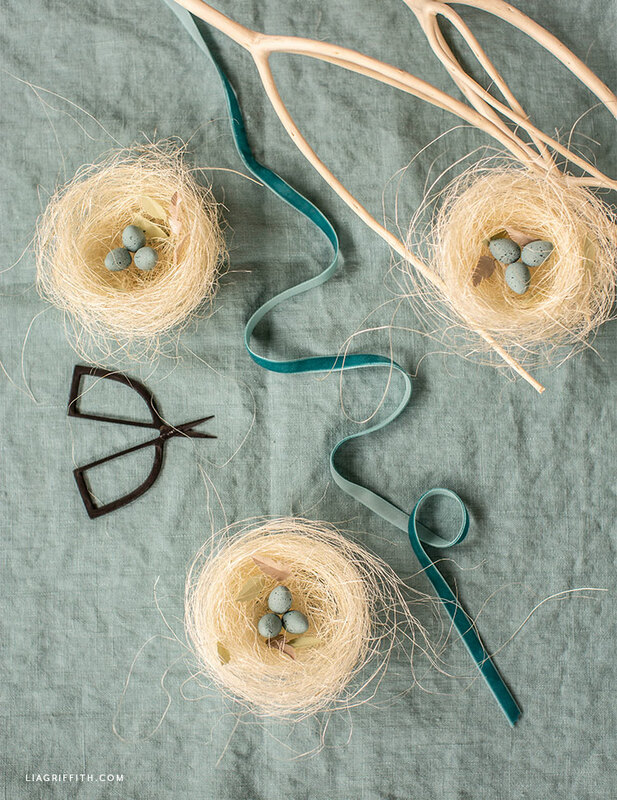 Since a robin’s nest isn’t complete without robin eggs, I created those by painting some tiny spun cotton eggs. I also like to make sure my craft projects look as real as possible. So you will see in the tutorial where I added some tiny paper leaves and feathers to each robin’s nest. When you’re ready to craft this yourself, just follow the tutorial below! Gather your craft tools and materials. Then download the feather and leaf pattern below. 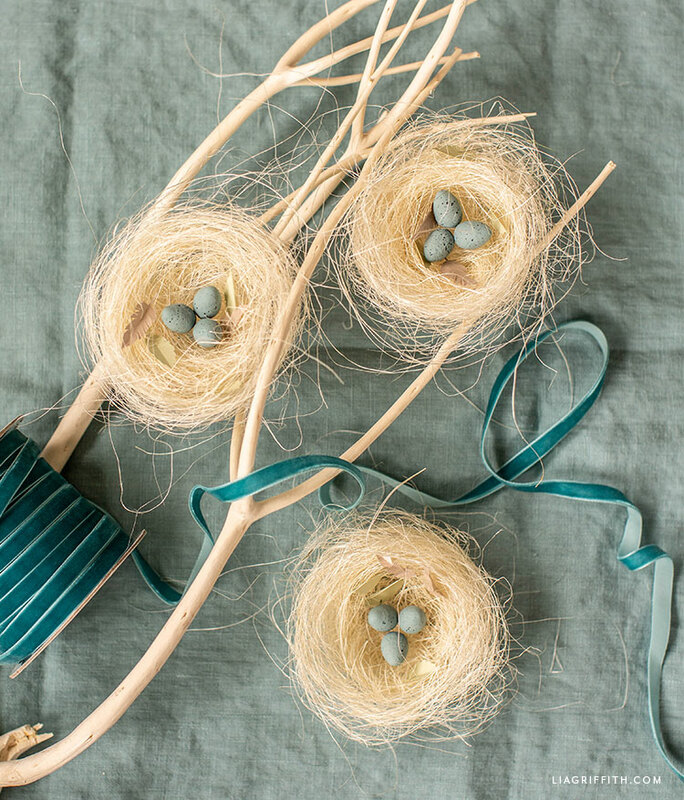 Pull off strips of sisal from pack and form into the shape of a nest. Use the pattern to cut your paper leaves and feathers. Then glue them into the nests. Mix paints to create Robin’s egg color. 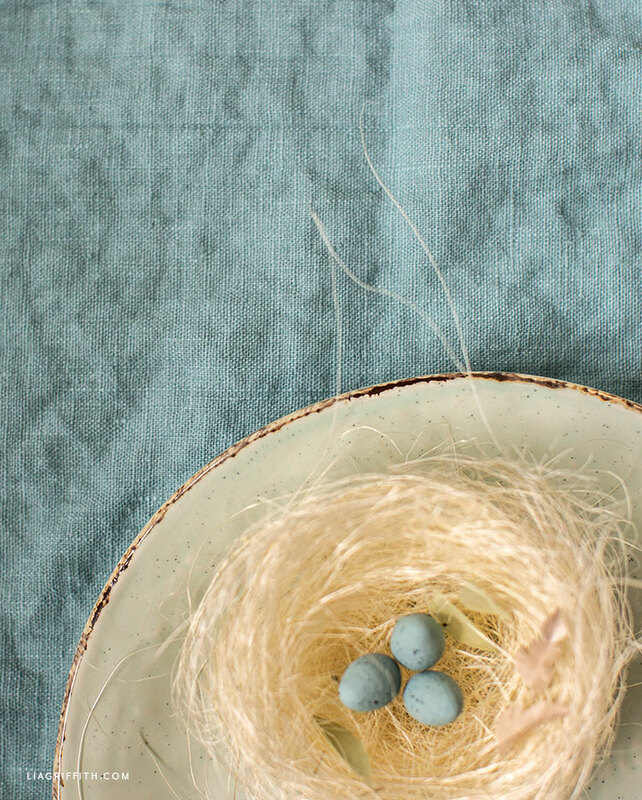 Place mini spun cotton eggs onto toothpicks, roll them into the paint, and let dry. For more DIY ideas and inspiration, join us on Instagram, Pinterest, and Facebook. You can also browse our video tutorials on paper flowers, home decor, and more. Haven’t joined our craft community yet? Take a peek at our membership options!